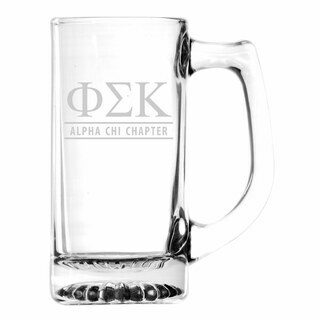 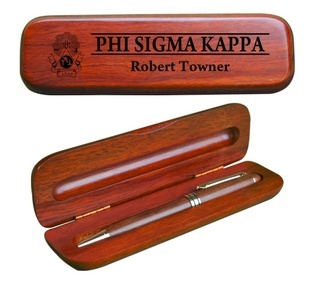 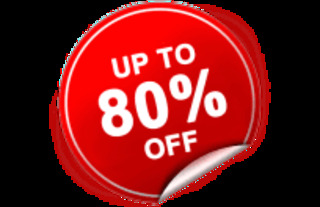 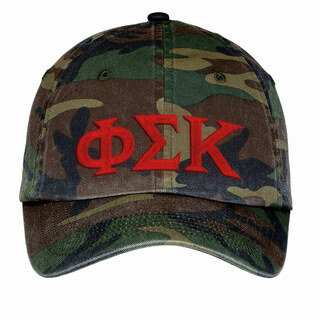 If you�re a brother of Phi Sigma Kappa who is in search of great new paraphernalia, you�ll find everything you need right here! 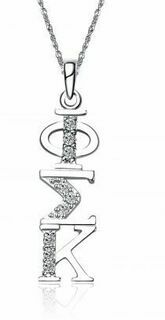 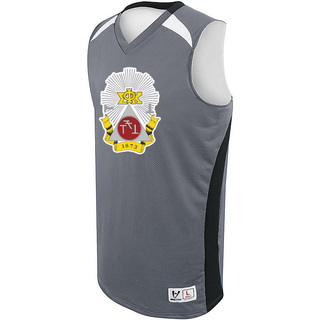 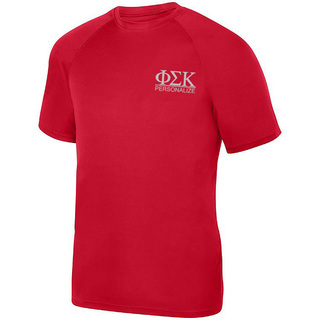 GreekGear.com has a special section full of Phi Sigma Kappa merchandise including but not limited to paddles, bid day gifts, Phi Sigma Kappa banners, Phi Sigma Kappa clothing, and other unique custom items for the brothers of Phi Sigma Kappa. 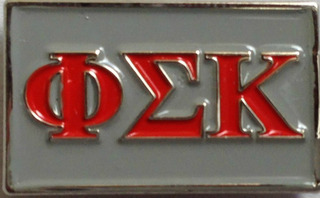 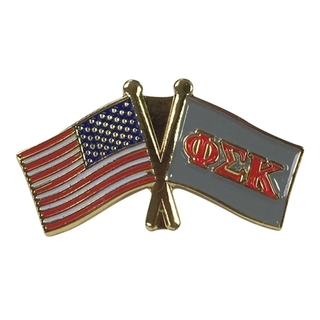 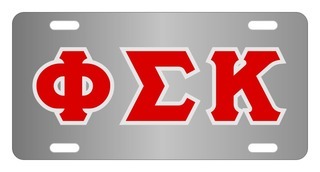 The fraternity�s official colors are Silver and Red. 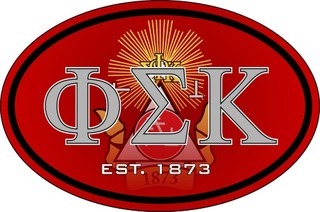 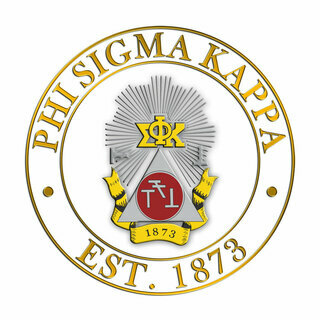 There are over 79 chapters of Phi Sigma Kappa. 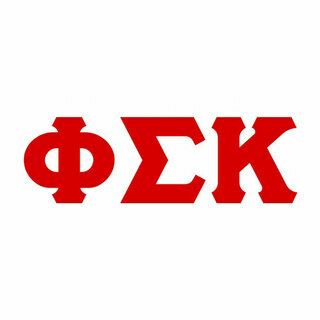 Famous members of Phi Sigma Kappa include former Governor of West Virginia Howard M. Gore and Arnold W. Gingrich, the publisher of Esquire. 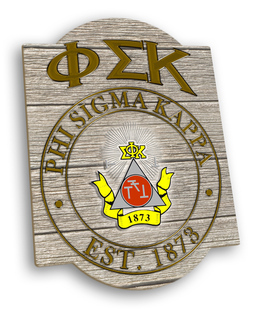 Phi Sigma Kappa interests should do as much research as possible about the organization. 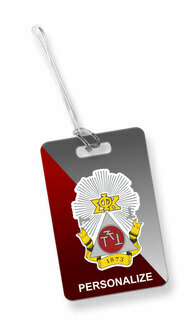 Membership is open to students, faculty, graduate and former students, at and from accredited colleges and universities. 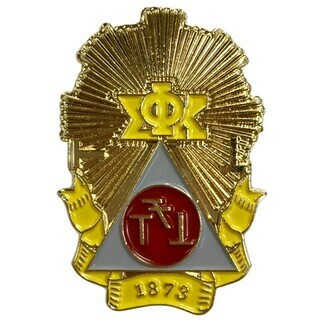 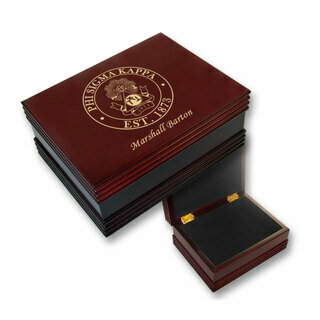 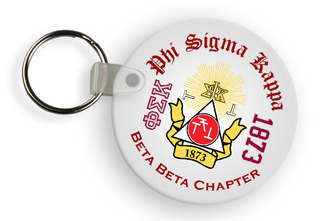 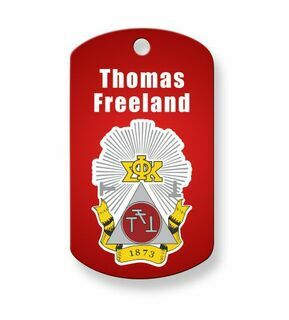 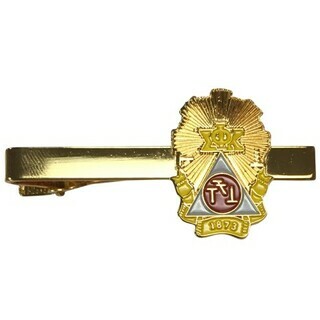 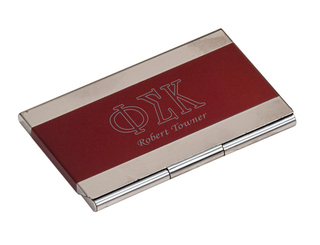 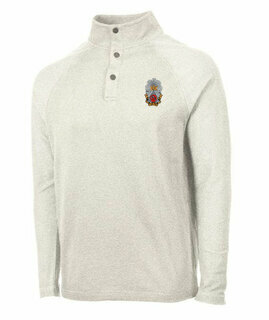 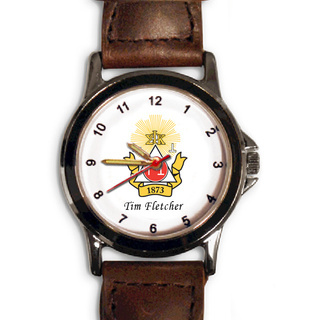 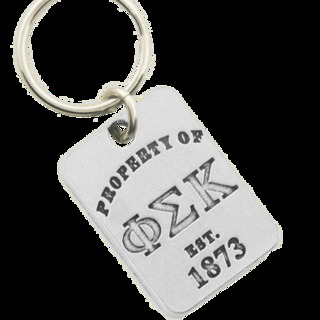 If you�re already a member, you�re probably still celebrating your frat�s 135th anniversary! 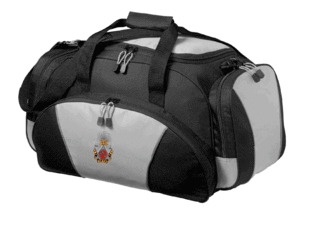 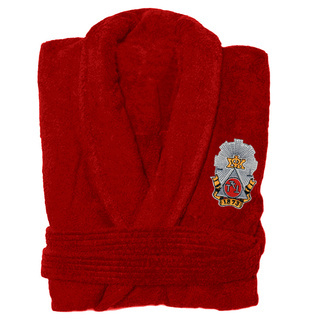 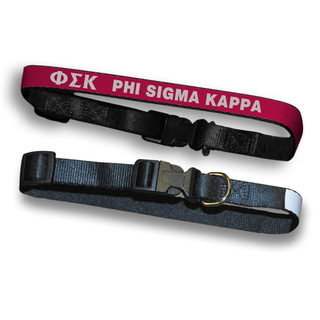 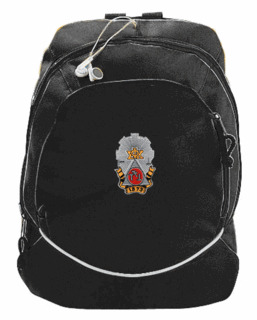 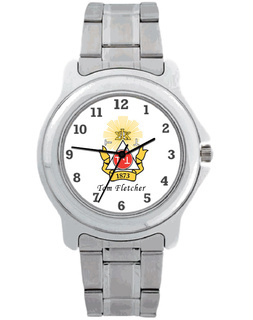 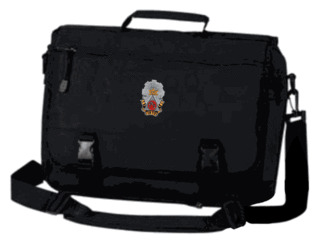 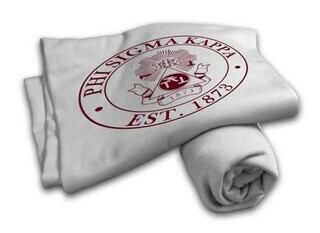 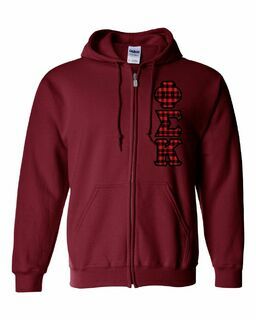 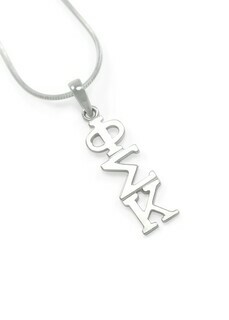 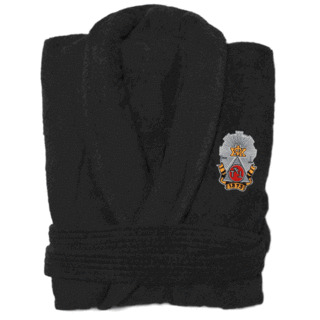 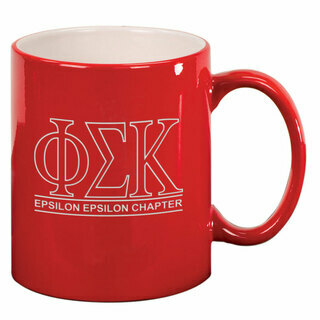 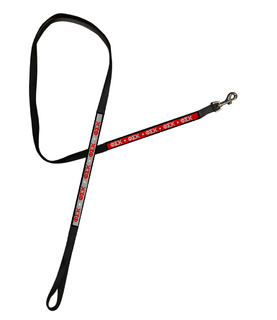 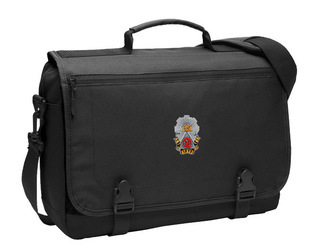 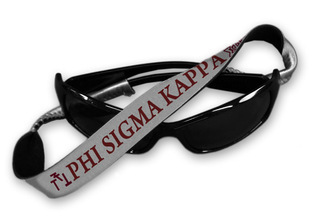 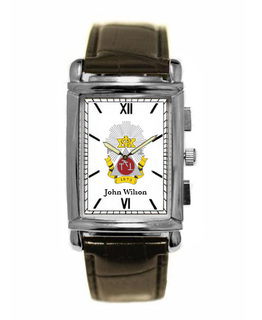 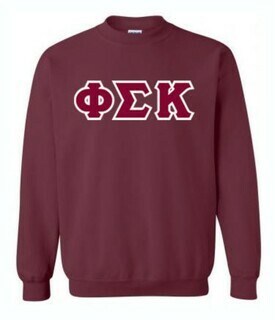 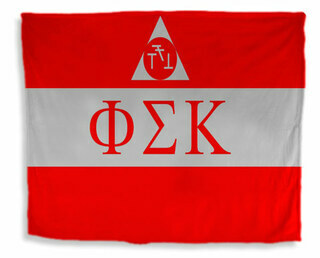 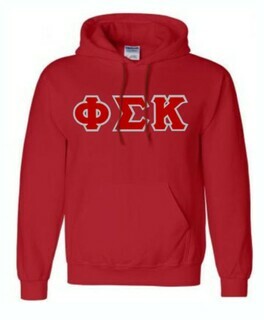 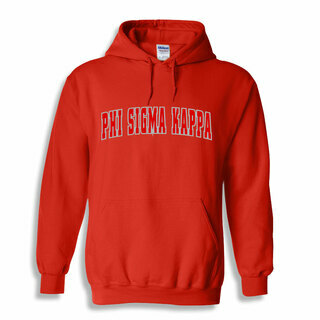 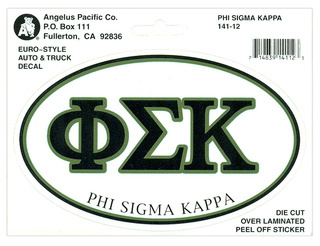 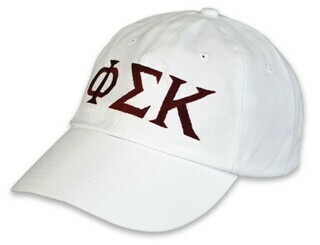 Look through GreekGear.com for all kinds of both fun and practical Phi Sigma Kappa paraphernalia. 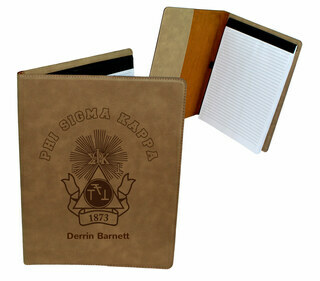 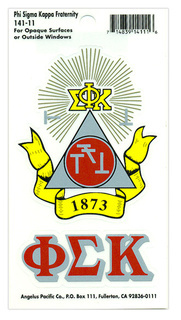 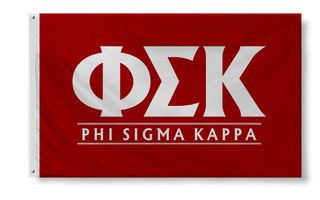 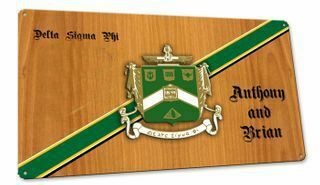 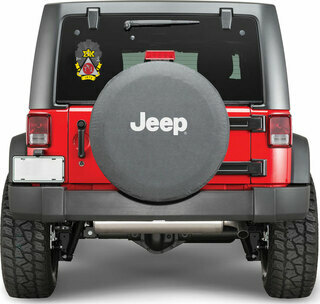 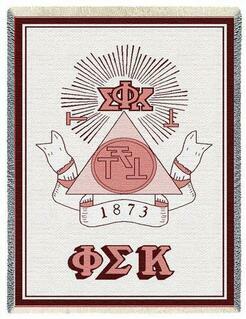 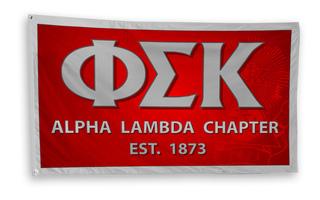 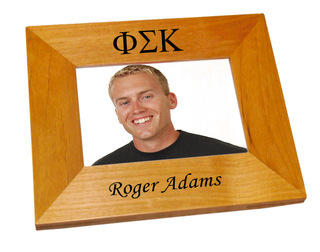 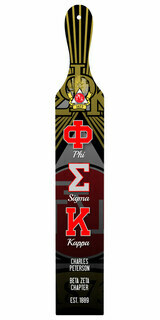 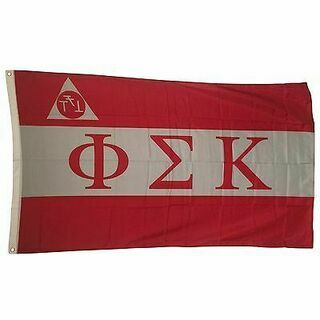 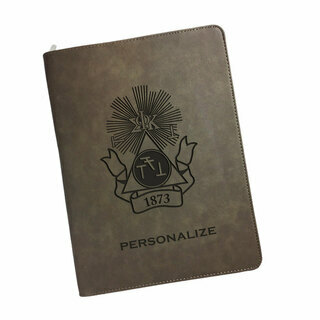 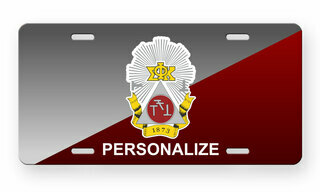 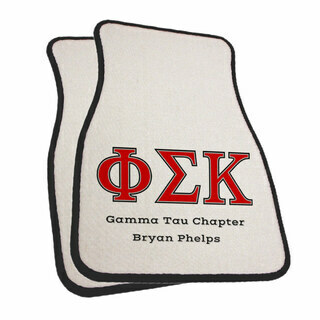 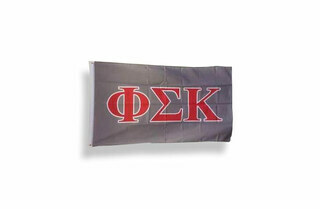 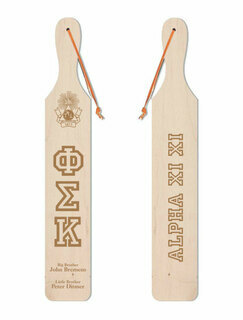 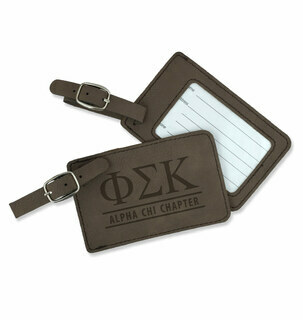 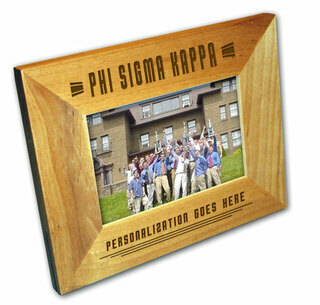 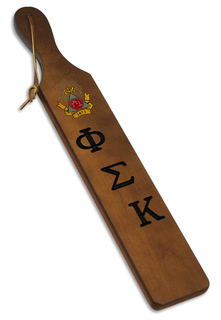 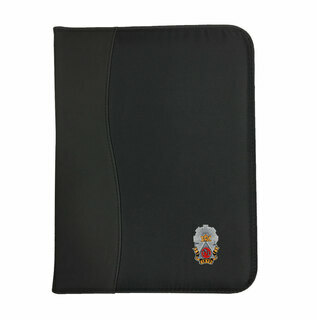 How about a fraternity billfold or some Phi Sigma Kappa banners to renew the look of your frat house? 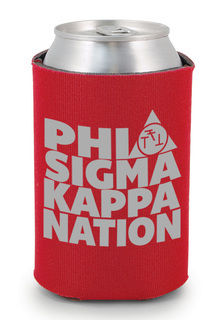 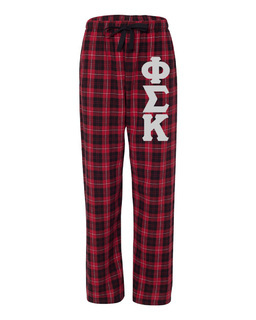 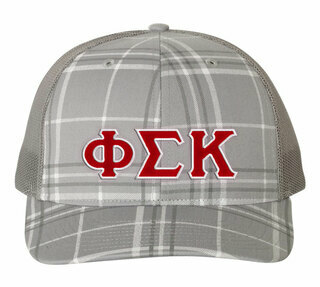 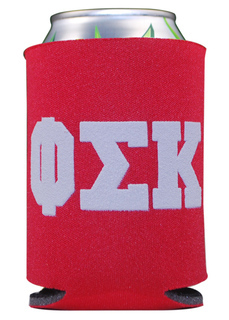 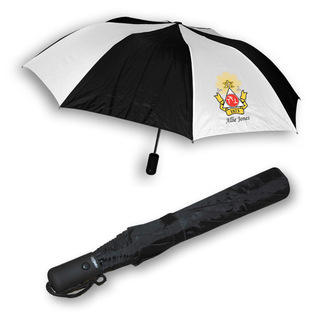 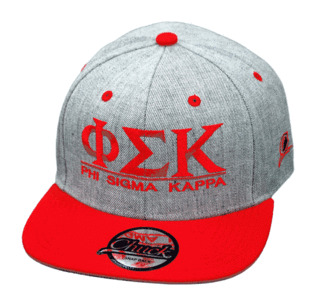 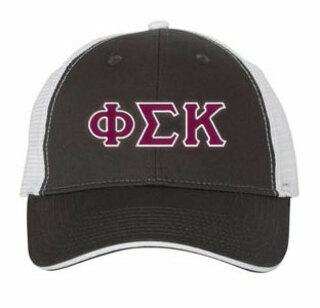 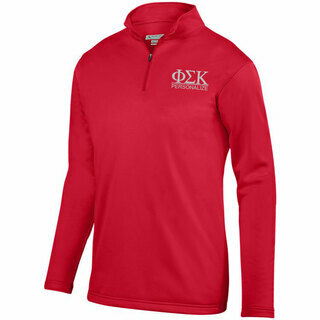 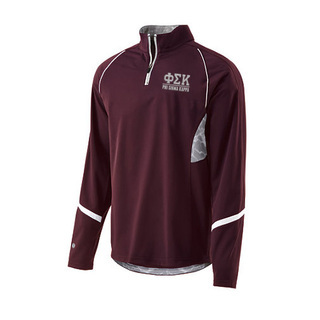 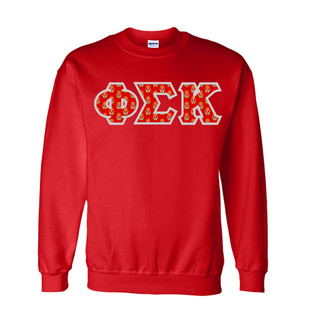 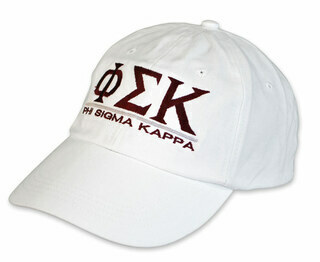 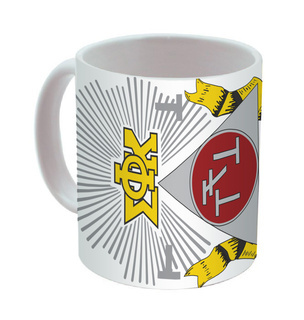 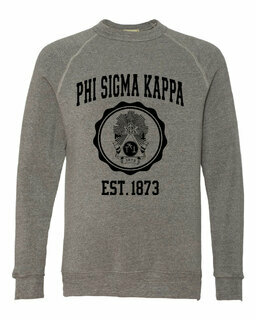 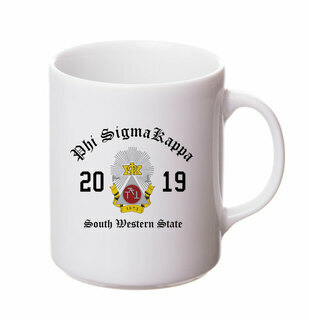 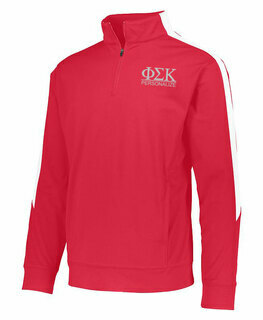 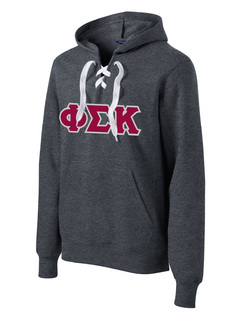 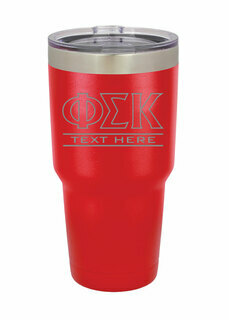 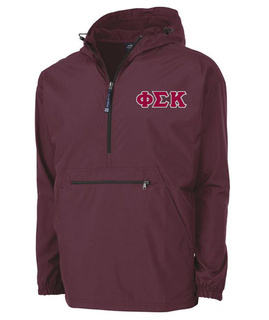 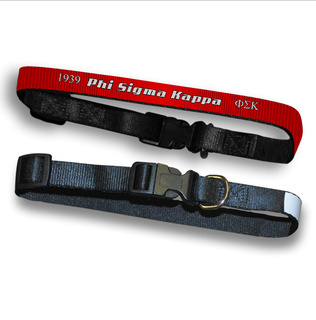 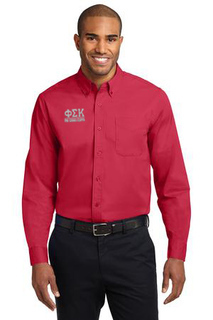 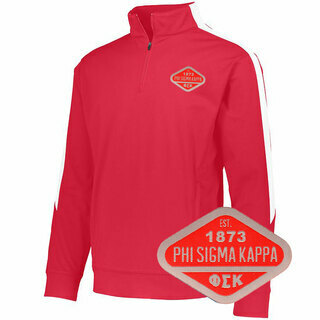 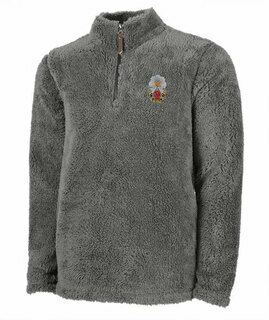 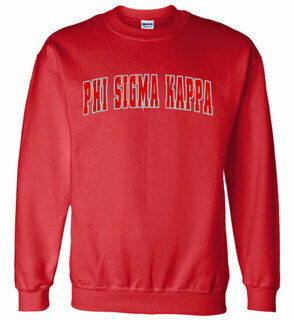 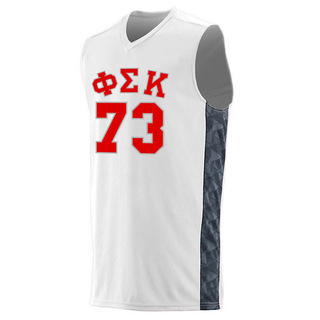 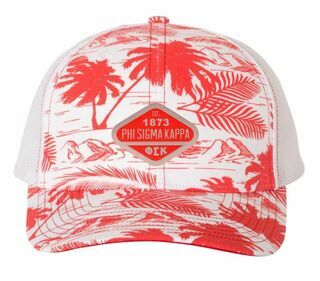 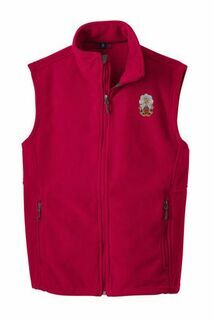 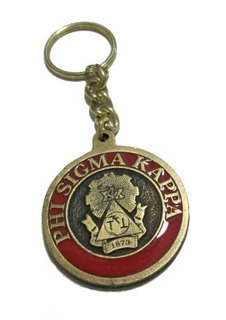 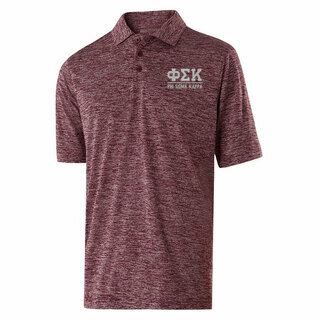 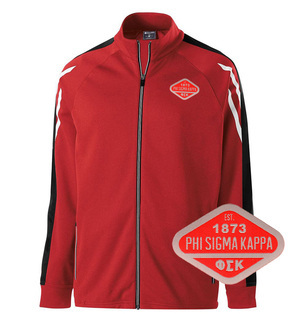 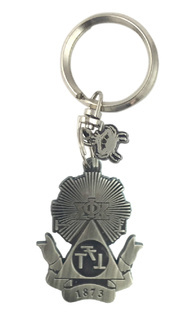 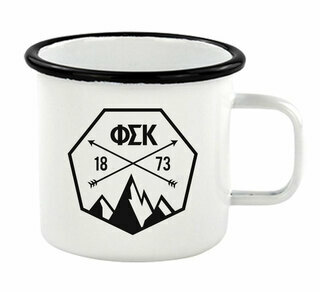 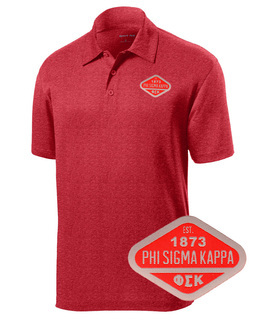 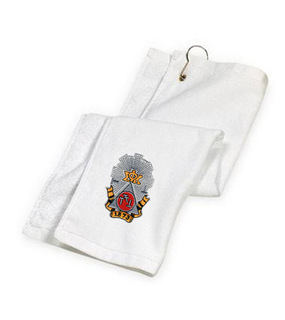 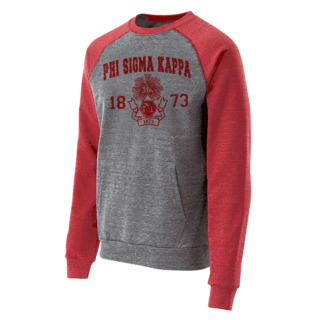 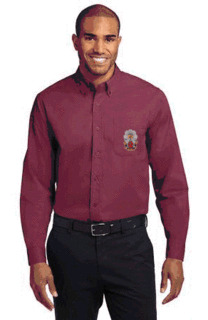 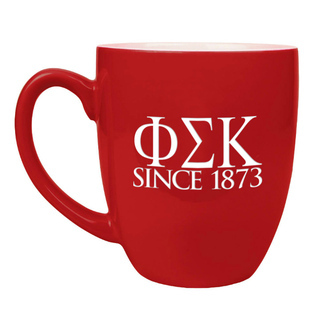 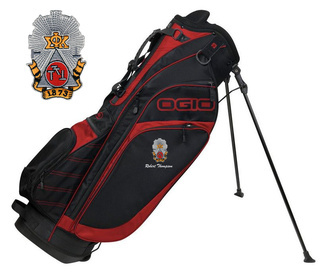 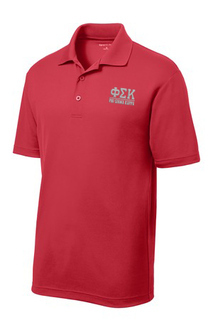 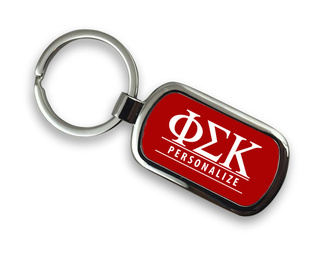 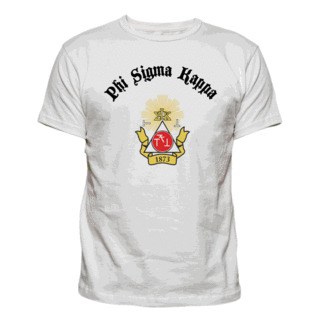 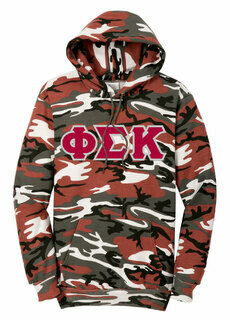 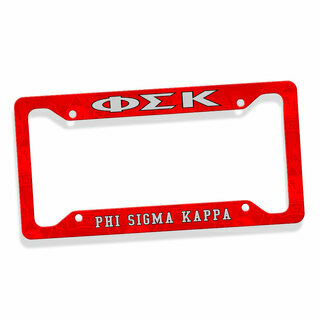 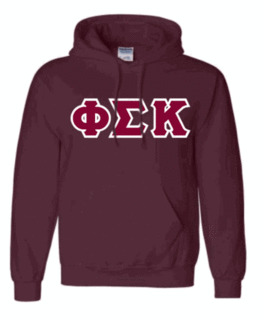 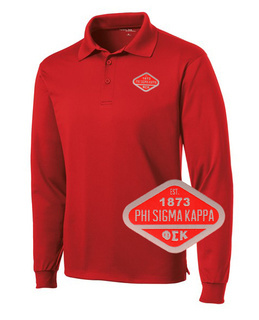 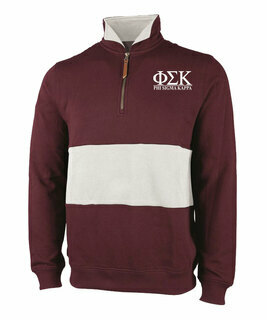 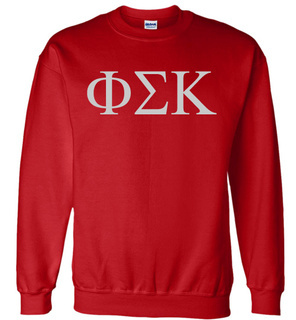 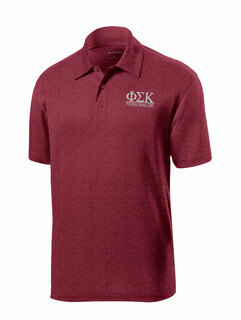 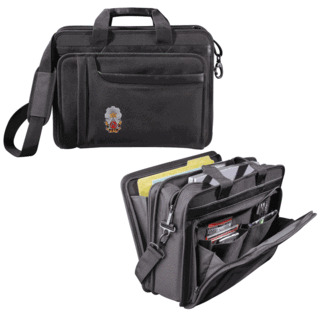 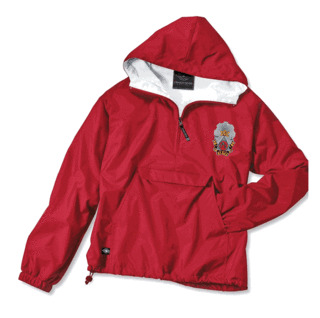 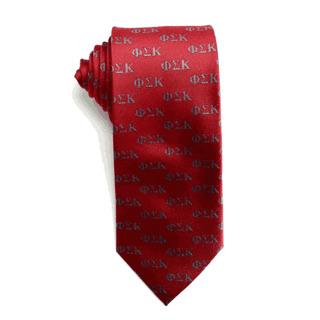 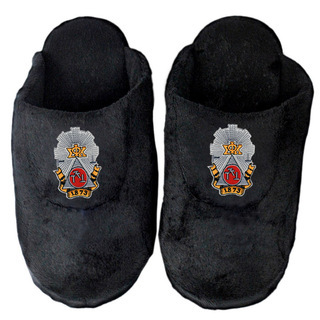 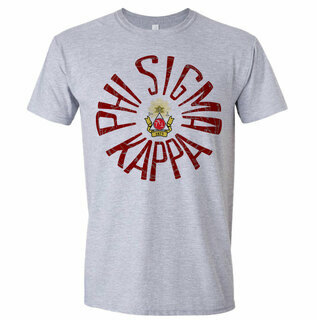 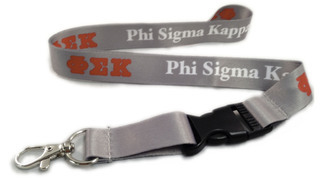 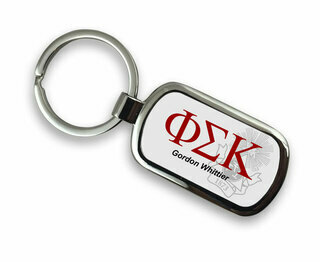 Please browse our complete selection of official Phi Sigma Kappa Greek Merchandise below. 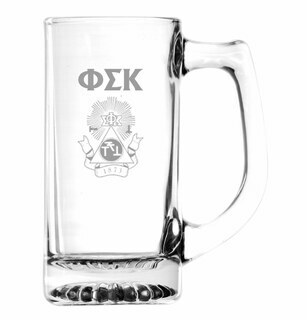 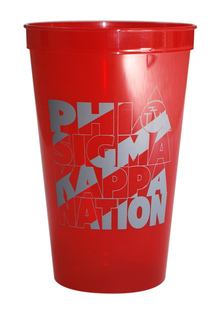 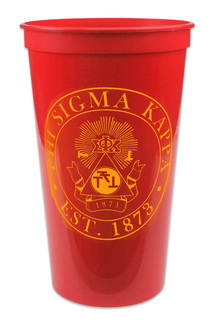 Phi Sigma Kappa Nations Stadium Cup - 10 for $10! 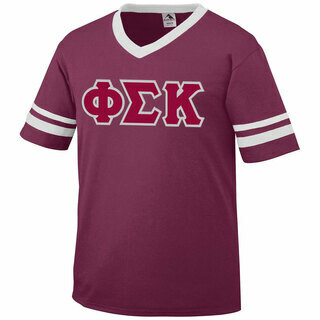 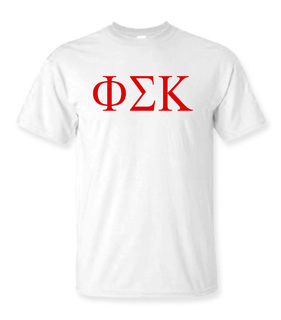 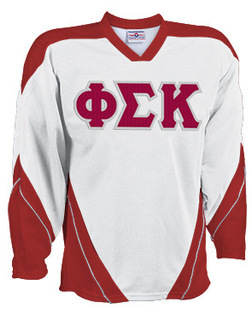 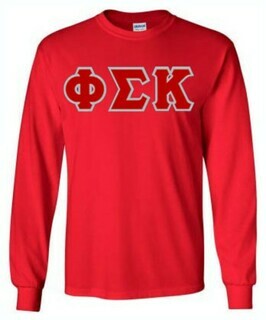 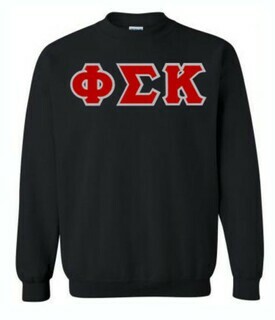 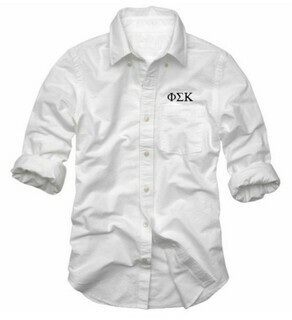 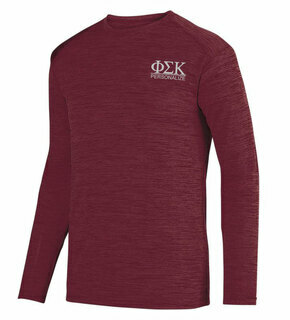 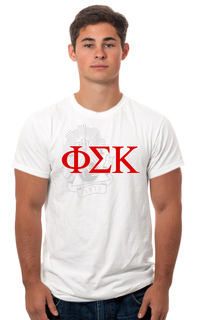 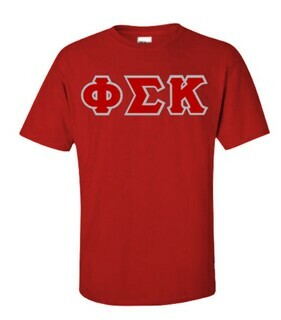 Phi Sigma Kappa Lettered Tee - $9.95! 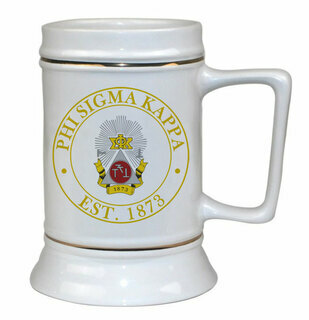 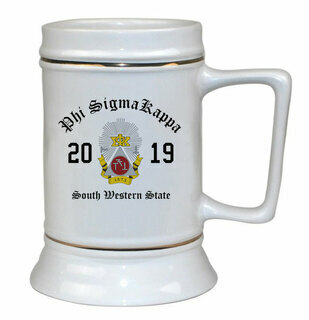 Phi Sigma Kappa Ceramic Crest & Year Ceramic Stein Tankard - 28 ozs! 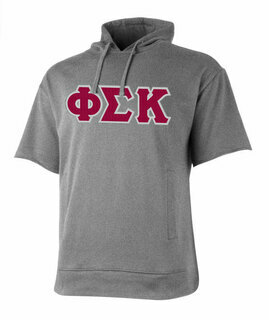 Phi Sigma Kappa Heavy Full-Zip Hooded Sweatshirt - 3" Letters! 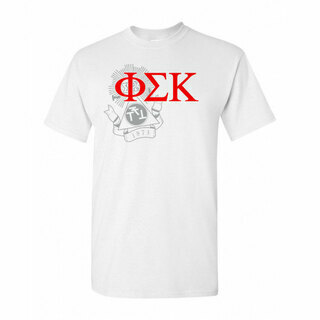 Phi Sigma Kappa Patriot Limited Edition Tee- $15! 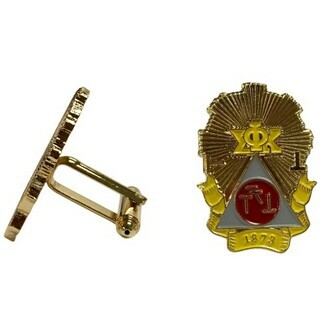 Phi Sigma Kappa Color Crest - Shield Cuff links-ON SALE!